So it’s the beginning of Part Two of 2017. Maybe, like the car registration system we can now have two starts to the year? If you think about it the idea of breaking the year into two parts was a really clever one. In previous years there was a huge buzz about the start of the year. 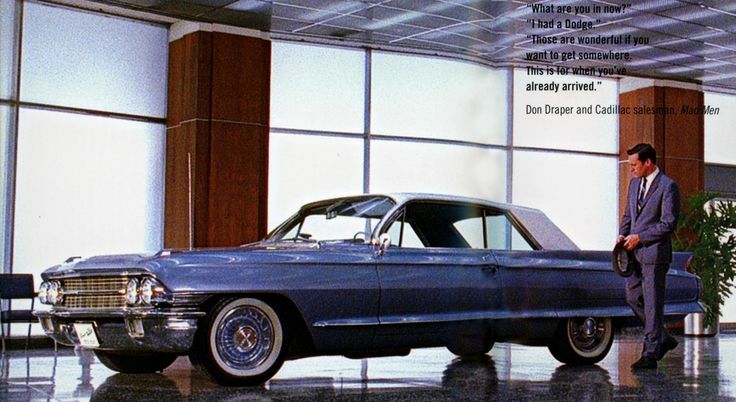 We all wanted a new car but once you had gone past April you probably started to think that it may be worth waiting until the next year as ’17’ was starting to age a little – you definitely did not want to buy something in the latter part of the year. How about we make it ‘171’ and ‘172’ and get two bites of the cherry? Great thinking by the motoring sector! Maybe you can start the second part of your year with all of the buzz, vigour and great intentions that you had on your first day back at work this year? So, what are you going to do with your ‘172’ ? 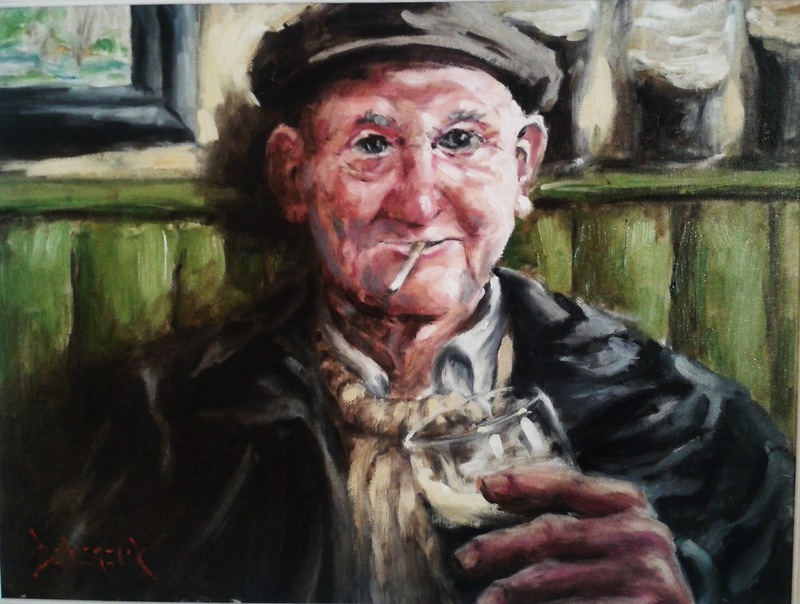 Jack walked through the door of his local in the small village in North Cork and made his way slowly with his head down to “his” bar stool. “Alright Jack” asks Mary the bartender who without even asking takes a glass and starts pulling a pint of Guinness. In her 20 years serving Jack he only once asked for a different drink. That was a hot whiskey about 10 years ago when he had a heavy cold! Jack was unusually quiet and the normal happy go lucky, joke a minute guy was not the person sitting at the bar today. “Jack, are you alright?” Mary probes as she places the creamy pint in front of him. “I’m ok Mary, I’m ok” and the tone of his response didn’t convince her for a second. He studied his pint and stroked the side of the glass as he always does, before that first taste and he took his first big gulp of the night. ..he pauses for air and finishes his pint. Without asking, Mary grabs a glass and starts to fill another pint but Jack gestures to her that he doesn’t want it. Mary grabbed the glass again and started filling another pint. “Thanks Mary, I’ll do that”. She smiled and hoped the next one would be better but at least Jack was back! While Mary and Jack are fictitious characters I can imagine conversations like this all over the country. I read and hear the negativity about Brexit everywhere and the truth is we really have no idea how it will play out for Ireland. 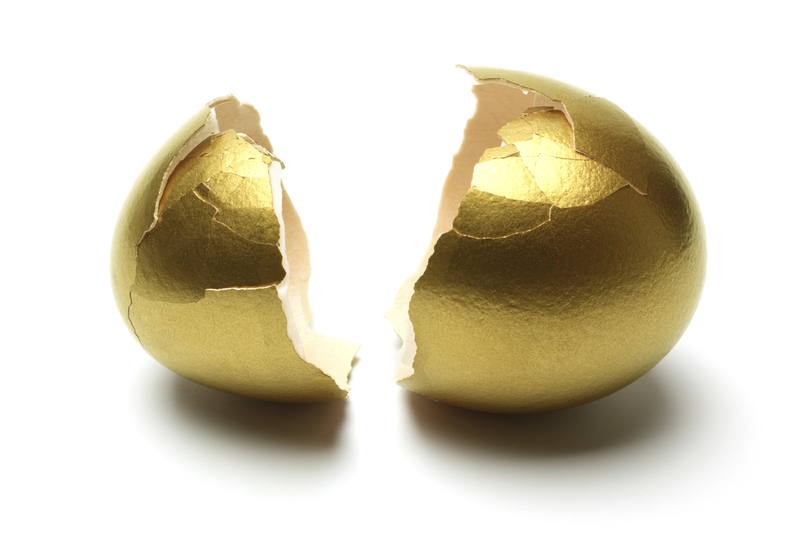 What I do know for sure is that if we are not careful we will talk ourselves into another recession. It’s Monday morning, we struggle out of bed and it’s off to work – the clouds are hovering over our heads. 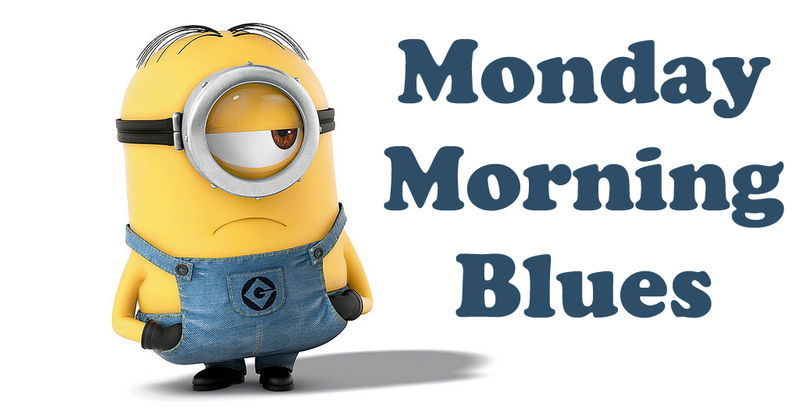 We have the Monday morning blues.. I can’t wait for the weekend, I can’t wait until the bank holiday weekend, I can’t wait until the James Vincent McMorrow gig, I can’t wait until my summer holidays, I can’t wait until Christmas! While it’s great to have things to look forward to it’s even more important to embrace each day and everything that we do. Enjoy your Monday, enjoy your work, enjoy that time with your workmates and your clients and everyone that you interact with and then get yourself home, to the gym, to wherever you go and enjoy that. Make a choice and look for that enjoyment in everything that you do. Stop wishing your time away.. it’s way too precious for that. Relentless is a powerful word and you can picture something that never stops, wave after wave, determination, a powerful, unstoppable force. 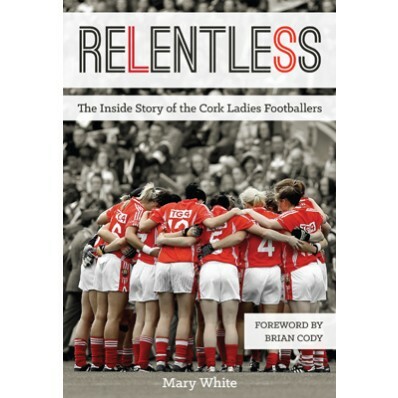 For some reason the book “Relentless” by Mary White about the Cork ladies GAA team caught my attention. 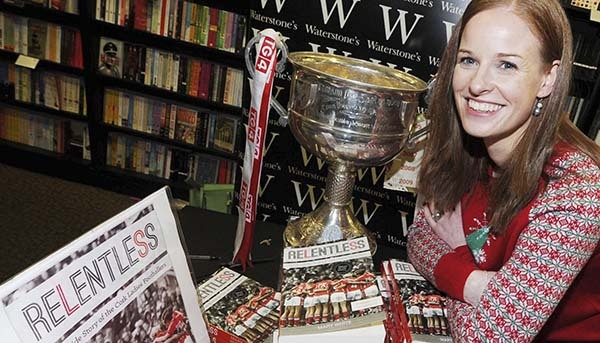 This wasn’t a book about the success of a glamorous Premiership team, a World Cup team, a famous boxer or even a high profile GAA team – it was the incredible, largely under the radar, success story of the Cork ladies GAA team. I think what grabbed me about this story is that there had been a huge transformation from decades of virtually zero success to an 11 year period whereby 29 titles were won including 10 All Ireland finals, nine Division One titles and 10 Munster titles. 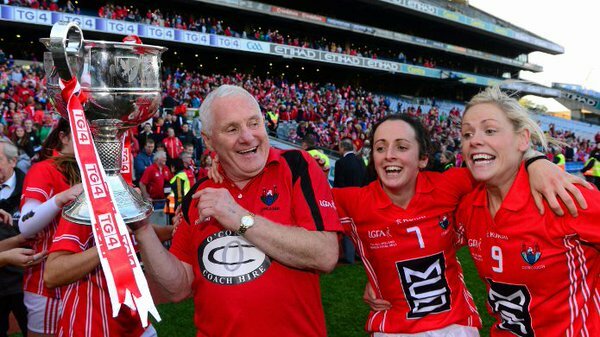 Without a doubt Cork always had huge potential with a large selection of talented players to choose from, many who had enjoyed success at Club level but for some reason this never transformed itself into a successful county team. Surely there was some magic behind this transformation, one thing that we could point to, one secret that we might all learn from that could help us in all aspects of our lives? I eagerly turned the pages to search for the secret.. There was a really interesting incident after another miserable defeat against Kerry, which could have been a turning point. 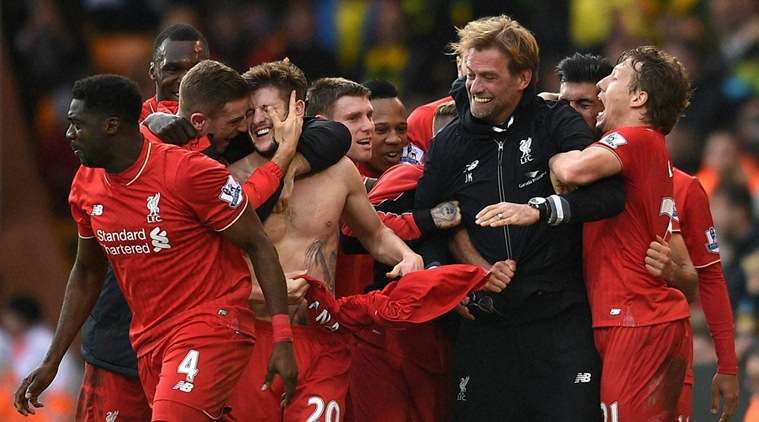 After the match the players one by one were throwing their jerseys on the dressing room floor and a leader appeared. Step up a leader – well done Mary O’Connor. Some of the key individuals who were involved from the previous era had to be removed as they were identified as part of the problem – there had to be changes and even though this was a painful process it had to happen in order for real change to occur. The need for this change to occur was identified as being necessary. An unwavering belief was instilled in this group – while this seems like an obvious one it was a huge achievement to make a team of disbelievers actually believe that success was possible. How do you change this mindset? This group of players were given a clear vision and goals by the manager. The manager produced a paper, which was distributed to the group, which outlined clearly what his vision was for the group. 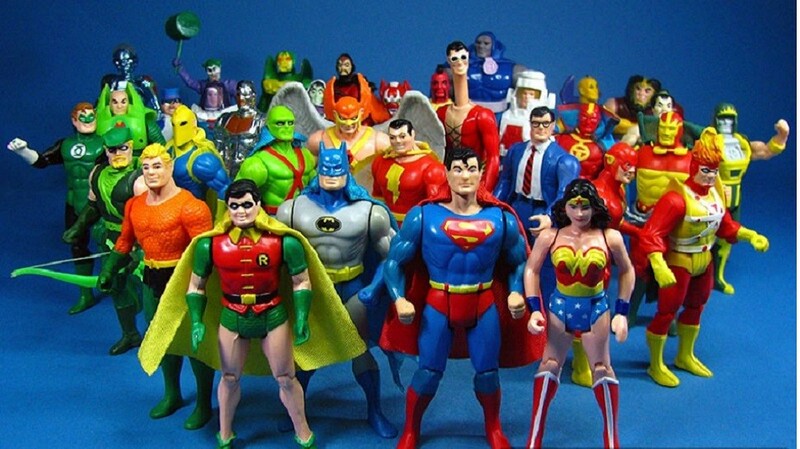 This is what I want – who is with me? This Cork team trained more than any of the other teams. This training improved the team. Lets repeat this – they trained more than any of the other teams. Train more, win more – that’s a big lesson! While this is a very simple factor this group of players were inspired and motivated to want to give so much of themselves. Cork is a big county and many of the players were travelling huge distances on a regular basis just to get to training. How do you get a group to want to do this? Over this 11 year period this large group of players were inspired to give total commitment to the team – this wasn’t a glamorous ‘premiership’ project whereby stardom would be guaranteed. It was about something totally different. How do you change a group to suddenly make them want to give absolutely everything? In the early days these individual talents used come together and stick to their own club cliques, sitting together and not mixing. It’s simple to see how this behaviour would not lead to a successful formula. This changed and in time this bunch of individuals and cliques were playing for each other – how did this change occur? Disagreements used happen as you could imagine but instead of these leading to divisions and a disjointed group a fair mechanism of dealing with these occurred and the group got tighter with problems being solved without festering resentments. This was a big achievement that cannot be underestimated. Success was not immediate and there were some early disappointments that could easily have meant that heads would drop and the rebuilding project would derail. This was not allowed to happen and instead valuable learning’s were banked from every disappointment to help towards future success. Later on there were further setbacks, which could easily have demoralised the team and end the run of success. This team always rebounded from every single setback. The management team had a lot of experience and a very clever thing they seemed to achieve was a powerful blend of experience and youth at all times in the team. Over 11 years this balance always seemed to be there with new faces, youth and energy carefully and constantly being introduced to an experienced group producing a winning formula. Judging the need for fresh faces and getting the timing of their introduction right is a huge skill. Playing for each other – friends? At the Dublin Momentum Summit I heard Munster and Irish rugby legend Paul O’Connell speaking about the importance of ‘playing for each other‘. This element was abundantly clear in Relentless. This team made up of club rivals who initially wouldn’t sit together would end up doing anything for each other. A spirit and togetherness was instilled in this group that made them virtually unbeatable – this was demonstrated time after time throughout the 11 years, most often during times of sadness and loss. This team had trips away in the sun, half of them ended up with food poisoning on one of these trips – did someone decide that going away together was good for team bonding? From the outside you imagine a team that was invincible, one that blew all opposition out of the way. While there was plenty of evidence of this during the 11 years there were also many times when this team were beaten, dead on their feet and staring at certain defeat. 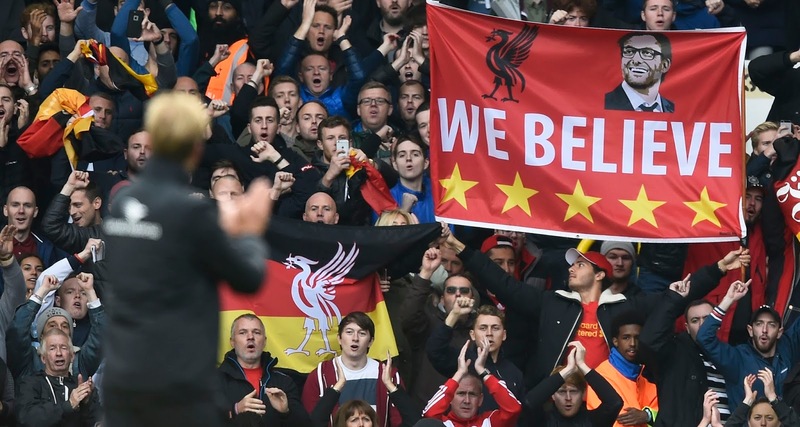 This team won these matches – it always seemed to find something at these moments, there was a belief deep inside enough of the team or the management to turn things around and change certain defeat to success. At times it was the experienced players, at times it was inspired substitutions – at all times there was enough belief in the team to lift everyone. 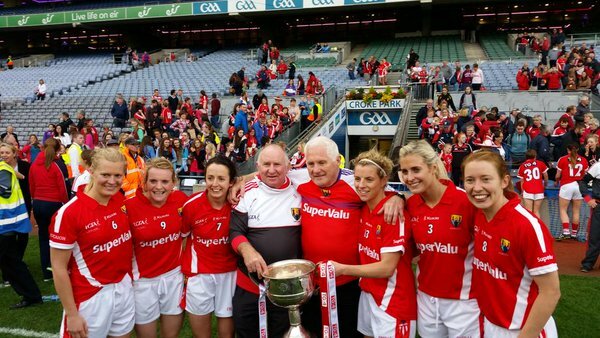 10 points down with 15 minutes to go and being played off the park in the 2014 All Ireland final – this Cork team won these matches. 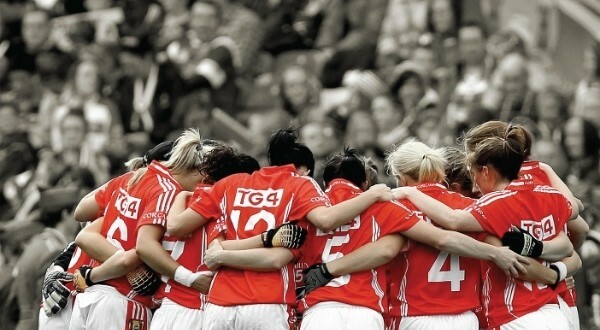 Who instilled this in this Cork team? While this team did have its top performers and it’s “stars” there were times when matches were won by the young guns, by the unsung heroes by the solid defenders who knew how to close games out. This was a team, not a group of talented individuals. I was really shocked by the amount of injuries endured by members of the team. For some stupid reason I was thinking with ladies there wouldn’t be as many (stupid me!) – the book is littered with stories of initial despondency, motivation, resilience, hard work, incredible recoveries and determination by those who were injured and there were the teammates who wanted to win for them. This team had steel in abundance. When you win a big trophy for the first time do you take the foot off the gas? When you win a second time – do you notch down a gear and maybe not work quite as hard the next year, because after all, you are the best? Managing complacency and guarding against it must have been one of the greatest achievements of this team – who was responsible for making sure this did not happen? 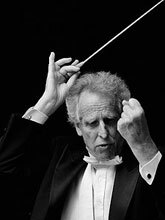 Someone has to make the tough decisions and have the intelligence and gut to know when the time is right to make them. Choosing who is in the squad and who isn’t, who is in the team and who isn’t, dropping big players and introducing unproven, young players. At key moments in matches knowing when changes were needed and making the right changes. Someone made a lot of very brave decisions over and over. These 11 years had no extraordinary factors – there were no fancy methods, definitely no fancy facilities, no fancy perks. Deliberately keeping it simple and with no frills seemed to work perfectly. Knowing the right thing to do at the right time and knowing the right thing to say at the right time to ensure this team were always in the right frame of mind to win over and over was pure genius. At times the team thought that the methods of their coach, former teacher, father of six, grandfather Eamonn Ryan were a little strange but ultimately they trusted him implicitly and would run through brick walls for him. People who share a common direction and sense of community can get where they are going more quickly and easily because they are travelling on the trust of one another. Finally one of the most impressive success factors evidenced in the book is the humility of the team and the management. No one was allowed get ahead of themselves and everyone treated everyone with the utmost respect. Their rivals held the Cork team in the highest regard because of how they behaved themselves and how they ‘wore’ their considerable success. 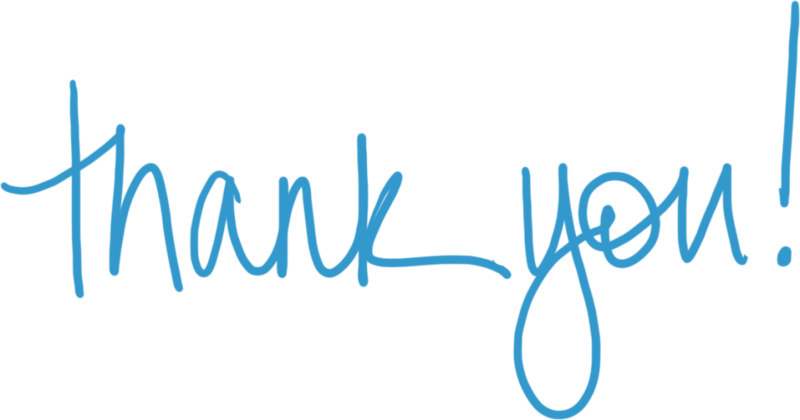 “I’m grateful for their cooperation, for no recriminations when I made a mess of things, and I’m grateful for their patience when things didn’t go well. He took over this team in 2004 while he was coming to the end of treatment for prostate cancer. I highly recommend this fantastic book by Mary White which is available online and in all good bookstores!